Since the 70s, sportsmen have sought—sometimes demanded—increasing opportunities to share their input on wildlife management decisions with their respective state departments of natural resources (DNRs), or game agencies. Of course, that desire comes from concerns about hunting opportunities: the length of seasons, unit boundaries, number of permits, hunting methods, bag limits, long-term health of game species' populations and philosophical positions supporting hunting as conservation and methods of bringing new participants into hunting and the shooting sports. The outcome of public meetings and other interactions is diverse. While the objective is to build consensus or at the least “informed consent,” meetings occasionally become heated, making communication and cooperation challenging. 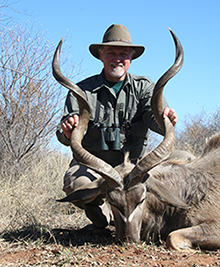 After all, both sides typically are emotionally vested in wildlife and related hunting opportunities. Keep these 12 tips in mind to foster your interaction with wildlife management agencies, maintaining or even increasing your hunting opportunities. Be respectful. While hunting is a deeply held and emotionally-framed part of our lives, communication occurs and partnerships develop when each side is committed to civil discourse and the sharing of ideas, data and expectations. Maintain a professional demeanor and presentation. A professional approach from both sides facilitates a positive atmosphere. Remember the "Communications Cycle" where "meaning" is clearly based on the listener's frame of reference and knowledge. Any “noise”—i.e. interference, such as undefined jargon, injecting anger or repeating the same thought(s) to the point the other side stops listening—disrupts the communications cycle so any real communication will fail to occur. Understand how biologists think. Primarily, they are driven by data—facts and conclusions based on application of the “scientific method.” However, don’t forget they are also personally vested in the same resources you are. Most of them work in wildlife management because they love it—just like you. Think about how you’d feel if they came to your office and told you how to do your job. Understand this basic tenet of managing wildlife: It is the overall population of a species that is paramount, not individual animals or even small areas within a management unit. While season dates, tag numbers, etc., are established to provide hunting opportunities, the No. 1 objective is to propagate a healthy population of the species. Additionally, it is well known that some fish and game managers have developed a “these are MY animals” mentality. Some leave college with it; others can develop it after years of working diligently for wildlife. It may be helpful, if this is encountered, to refer to the agency’s mandate, which universally establishes that it is managing the state’s wildlife resources “for the benefit of the people,” as well as the health and continued existence of the animal populations. Also, remember that biologists can never have enough data. Hence, they are always looking for additional research or other data collection projects to provide more insight into their decisions. This, and their adherence to the scientific method, will lead some to summarily dismiss your proposal to change season dates, harvest or tag numbers, etc. Do your homework. Know the history of your topic and understand what went into making the original decision. Be familiar with the data that substantiates the standing regulation(s). If you can use the agency's data to back up your position, all the better. But if not, have facts/data to substantiate your proposition. “I know there aren’t enough deer to issue doe tags this year because I haven’t seen them” is does not present a convincing case. While you can—and should—express your opinion(s), it generally won’t hold much sway over the findings of scientifically collected information and decades of management experience. Clearly state your issue, proposal and desired solution. If you are identifying a problem, have suggestions on how to remedy the situation. Represent others with positions similar to yours. Tell like-minded individuals who you are and who you represent. Representing other clubs, organizations and/or associations strengthens the impact of your input. One hundred hunters asking for consideration is much stronger than a single individual. Do not take a win or lose position. Look for improvement, movement in a positive direction and the willingness to work together and/or explore alternatives. Think long-term. Leave the door open for continuing communication. Be cognizant of budget and manpower issues, which agencies wrestle with daily. Keep in mind your state's political arena. The agency and, thus, wildlife management itself is an active component of your state’s political scene. There are numerous political considerations and pressures on the agency and, at times, its employees are not able (read that “allowed”) to do things the way they want. Remember, too, they are a government bureaucracy so decisions and changes are rarely made quickly. Remember the commissioners. They are politically appointed decision-makers who have the final say in agency programs. Do your homework on them, too. Managing wildlife is a challenge. Putting it in perspective, Utah’s only three-full-term governor, Cal Rampton, told a gathering of all Division of Wildlife Resources employees that his many years in government confirmed that citizens felt they could always do two things better than any state agency: Build highways and manage wildlife. The future of hunting and the health of our wildlife populations will, in no small part, rely on effective partnerships between sportsmen and state wildlife agencies. Developing a cooperative working relationship with them will help assure that our hunting heritage will continue.